A thrilling, massive sing-along of Handel’s beloved choral masterpiece. Does the holiday season give you an uncontrollable desire to burst into song? 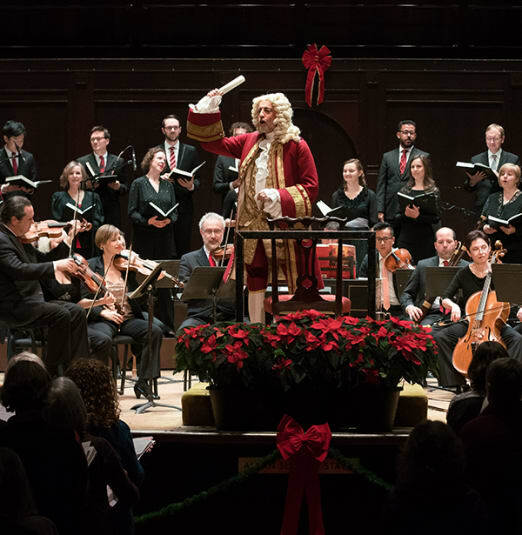 Join Tafelmusik Baroque Orchestra and Chamber Choir, four soloists, and a choir of thousands led by Mr. Handel himself for a thrilling, massive sing-along of Handel’s most beloved choral masterpiece: Messiah. Messiah transcends boundaries with its message of charity, peace, goodwill, and sacrifice. It also contains some of the most uplifting, touching, and magnificent music ever composed—ideal for a truly inspiring sing-along! Pick up your score, warm up your vocal chords, don your holiday finest, and join us in our new surroundings at Roy Thomson Hall for one of the best-loved traditions of Toronto’s holiday season.